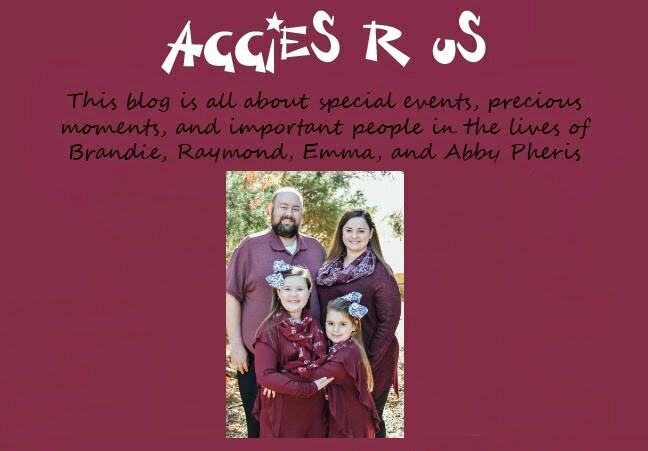 Aggies R Us: The Trio watch T.V. Reggie is truly relaxed and taking in the football game with his Daddy and Emma. This is a daily occurrence at our house. The only thing that changes is the positions and what they watch on t.v. Emma's favorite hold when Daddy feeds her, but lately if something really interesting is on t.v. she would rather face it when she eats. Labels: The Trio watch T.V.